Have you spotted any ladybugs out and about yet? 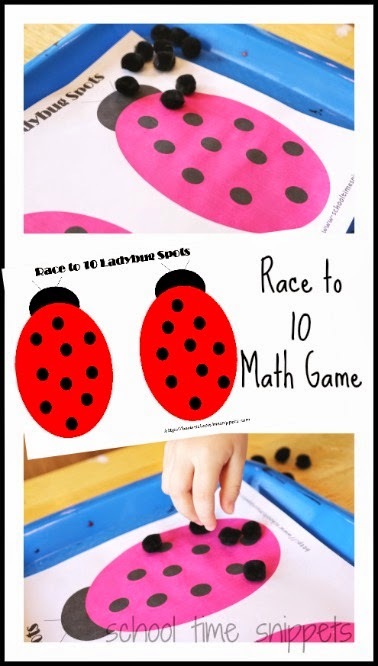 Still a bit too chilly here, but knowing Little Sis is just fascinated by the tiny red insect, I created a fun Race to 10 Ladybug Math Game that encourages turn-taking, fine motor skills, counting, and 1:1 correspondence! Try this fun and simple preschool math game today! 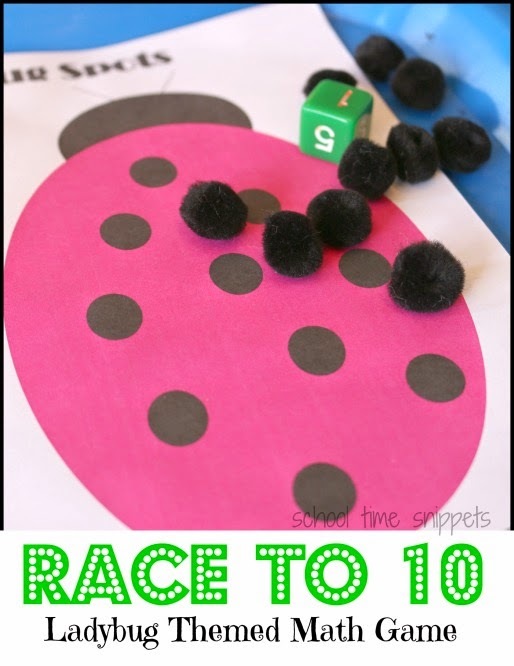 Download your free Race to 10 Ladybug Spots printable HERE! To keep the printable in good shape and re-use later, laminate for durability (optional). Grab ladybug spot manipulatives; we used black pom poms for each plaer and a six sided die. Player 1 rolls the die and covers that many black dots on their ladybug. Thus, if a 2 is rolled-- place cover two black spots with pom poms. Each ladybug has 10 spots. The first to 10, wins! Try this simple, hands-on ladybug game to LEARN and PLAY with your kiddos today! 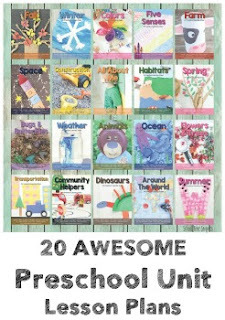 It's a great way to work on important preschool skills!